Jim O’Neill does not approve of the U.S. dollar’s kingpin status in global markets. Speaking on CNBC’s “Squawk Box Europe,” the man who coined the term BRICs for the emerging economies of Brazil, Russia, India, China and South Africa expressed his continued frustration at the longtime economic convention. The dollar still remains the world’s primary reserve currency. It will remain so for some time. As Jim O’Neill pointed out, the USA is producing a smaller share of the global output–this WILL have an impact on the US dollar–as will the sanctions he mentioned. MOSCOW (Sputnik) – European companies are considering the idea of abandoning the dollar in transactions with Russia, switch to the euro is a natural consequence of the US policy, Russian Finance Minister Anton Siluanov said on Friday. “This is something that is decided by two sides, so we will now work with our partners. I think they are interested now too. As you know, there were reports about the initiative to create a euro-SWIFT payment system which will be used exclusively among European banks, European financial institutions for trade in oil, oil products and other commodities. I think the Europeans are already thinking about this. We are ready to join such initiatives,” Siluanov told the Rossiya 24 broadcaster, when asked whether it was possible that European companies would use euro in the purchase of Russian oil and gas next year. Russian President Vladimir Putin gave a speech on the Russian Energy Week, on Wednesday, saying that his Washington counterparts are making a “typical” and “colossal” mistake, referring to the sanctions imposed to countries around the world which have threatened the dollar dominance. “It seems to me that our American partners make a colossal strategic mistake,” Putin said, adding that it is a “typical mistake of any empire.” Russia, and other countries, recently have been trying to reduce the use of U.S. dollars in their economies and as a transaction tool. For President Putin, the U.S. sanctions imposed on different countries worldwide “undermine the credibility of the dollar as a universal and the only reserve currency today.” The sanctions are pushing countries to the de-dollarization of their economies, as Russia has been trying to do since sanctions were imposed. Vladimir Putin is right. The status of the US dollar as the world’s primary reserve currency is at risk. Russia, China, Turkey, Iran, North Korea, and others want to topple it, and sanctions against them are pressing them more towards working to dethrone the USA dollar. Could Russia’s plan to shun the dollar boost its economy? The government is preparing a bill to ‘de-dollarise’ the Russian economy in response to incoming US sanctions. Drawn up using ideas from VTB bank head Andrei Kostin, the bill could be approved by Prime Minister Dmitry Medvedev in just two weeks. Kostin himself said President Vladimir Putin “as a whole” endorsed his proposals, which seek to reduce Russian dependence on the US, although details of the draft law are yet to be made clear. Could Kostin’s plan weaken the dollar? Solodkov: “The dollar could be destabilised if at the same time China, Japan and the EU together decide not to use it for transactions or their reserves. But the probability of this leans towards zero. Professor Abramov: “If Russia succeeds in convincing European Union countries, as our main consumers, to make oil payments in euros rather than dollars, this would be a real, tangible blow to the dollar. Well, because Europe wants to rule the world and it more and more sees that the USA is in its way. It will happen, though it will take some time. This basically could happen with a combination of multi-national cooperation (of which we are seeing more of against the USA dollar), natural and/or man-made disasters impacting the USA, and increasing USA debt (which keeps happening). The USA ‘benefits’ in many ways by having the world’s predominant reserve currency. US Sanctions and Tariffs leading to New World Order? Russian Prime Minister Dmitry Medvedev said new US sanctions would be a declaration of economic war. Iran, North Korea, China, Europe, and Turkey are also upset about USA sanctions and tariffs. A Turk asserted “Somebody must find a solution and stop the USA.” The BRICS nations see US sanctions and tariffs as helpful to their objectives to trade without the USA. Are “unintended consequences” of USA policies threatening the current Anglo-American world order and leading to a New World Order? What has ‘Lord’ Jacob Rothschild and Russian President Vladimir Putin stated? Does Bible prophecy say that a confederation of Turks, Arabs, and Europeans pose a real threat to the USA and UK? Is the final time of the Gentiles coming? Will it be worse than people imagine? Dr. Thiel addresses these issues and more. Here is a link to our video: US Sanctions and Tariffs leading to New World Order? 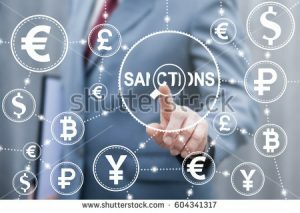 US sanctions and trade policies are factors that will lead to the loss of the USA dollar as the world’s premier reserve currency. As I warned prior to Donald Trump’s inauguration, there will be many “unintended consequences” to some of his policies and statements. The days of the US dollar’s dominance are numbered. US sanctions and tariffs are helping lead to its demise. There is a cost to USA sanctions. They are pushing the Gentile nations to come up with something that the USA will not like. One day the USA dollar will be worth no more than the scrap value of the cotton-paper it is printed on. It will be worse than CNBC seems to think even though it reported the view that the US dollar is currently losing strength. Teachings Unique to the Philadelphia Church of God Simply calling oneself ‘Philadelphia’ does not make one so (see Revelation 3:7-9), nor does Gerald Flurry calling himself “that prophet” make it so. This article provides many quotes from this group which tries to look faithful. The Great Monarch: Biblical and Catholic Prophecies Is the ‘Great Monarch’ of Catholic prophecies endorsed or condemned by the Bible? Two sermons of related interest are also available: Great Monarch: Messiah or False Christ? and Great Monarch in 50+ Beast Prophecies. This entry was posted on Friday, October 5th, 2018 at 6:30 am	and is filed under Prophecy.